Very professional, personable, knowledgeable physician. Sat down and spoke to me and truly seemed interested and caring.Very helpful. More doctors should be like her. Very professional, personable, knowledgeable physician. Sat down and spoke to me and truly seemed interested and caring. Very helpful. More doctors should be like her. Dr. Aliotta was attentive and caring about my needs. She took the time and explained options. I recommend this doctor! 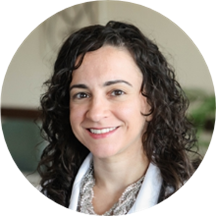 Dr. Michelle Aliotta is a caring and considerate family physician serving the community of San Antonio, TX. Dr. Aliotta attended Drexel University, where she received her medical degree. She completed her residency in family practice at Valley Baptist Medical Center. She also holds a master’s degree in physiology from Georgetown University. Dr. Aliotta is a part of MedFirst Alamo Heights. She is affiliated with North Central Baptist Hospital in San Antonio, TX. She is board certified by the American Board of Family Medicine. Dr. Aliotta is devoted to ensuring the longevity of her patients’ health and developing long-lasting relationships with them. She takes her time to understand symptoms and give correct diagnoses to ensure the continued health of all her patients. Dr. Aliotta is an excellent Dr. I felt she listened to my symptoms, very comfortable with her. She was awesome! Attentive,, focused, and approachable. Love her, she's easy to talk to, makes you feel valued as a patient, and had great bedside manner. Dr, Aliotta is always so caring and kind. Very pleased. Dr. Aliotta was very attentive and thorough. My 1st visit was Great. She took her time and actually listened to my concerns. To bad she is relocating to another Medfirst Office. She is a great doctor. She listens to her patients and she always looking out for them. My husband and son love her. Again she is a great doctor. Always cRing for her clients not her wallet. DR. Aliotta was very kind and patient with the situation we had. I would highly recommend her. Very kind and professional. Would recommand to anyone the seeks professional in this environment. Dr. Aliotta made my father who is 87 years old feel very comfortable. He liked her right away. She took her time and listened to his questions and answered all of them. She seems to be professional, knowledgeable and kind. I highly recommend her. I really liked Dr. Aliotta, however I got there the recommended 30 minutes early and then continued to wait an additional 30-45 minutes before I was taken back for my vitals and then waited another 15 minutes before the doctor camein. I can understand an off day, but it was my first visit so it doesn't leave a very good first impression.